For cases of specific neural demand such as carpel tunnel syndrome, repetitive motion injuries and conditions with similar symptoms and treatment regimes. 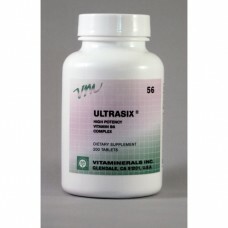 Our Vitamineral Ultrasix is formulated with nutrients that help maintain normal muscle and nerve function. It also includes minerals that help keep bones strong. Magnesium - helps maintain normal muscle and nerve function, supports a healthy immune system, and keeps bones strong.